Modular homes are homes that are built offsite, in an indoor factory setting, to a local state code. In most cases, states have adopted the International Residential Code, or IRC Code. Modern modular homes are often referred to as “factory-built,” “systems-built,” or “prefab homes.” First, the home is built in sections, or modules, in a climate-controlled, advanced factory. Then, these sections are moved to the building site and mated together. Check out our selection of modular and manufactured homes below. If you want to view all the floor plans that Sunshine Homes offers, click the “See All” button. Modern modular homes are becoming more and more popular among home shoppers. This is because they have a lower price compared to site-built homes, as well as often better building quality, customization options, and durability. 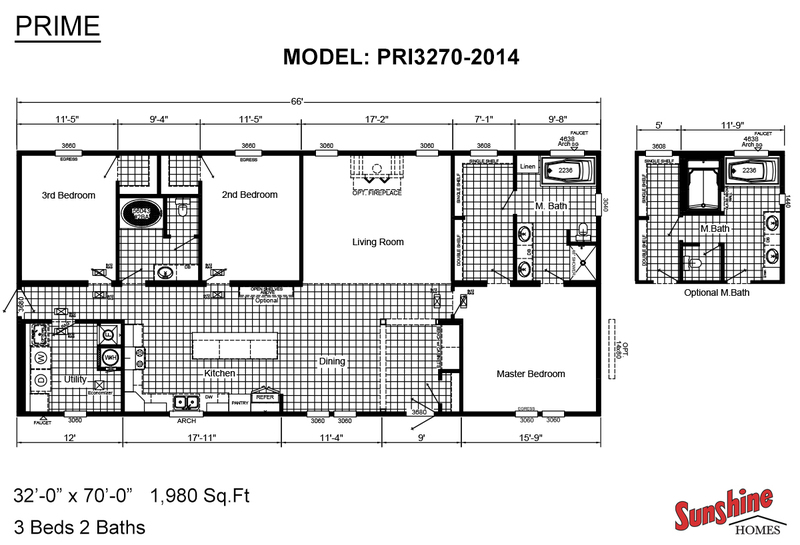 Modular homes, just like manufactured homes, are regulated by HUD code as well. Most of the time, a modular home can be built in a matter of weeks, as opposed to months. In addition, they avoid the on-site delays – for example, bad weather or other climate problems. And best of all, modular homes are considered to be permanent structures. In other words, they are “real property.” Therefore, they qualify for the same financing terms, rates, and conditions as any other home. As a result, modular home financing is a breeze!